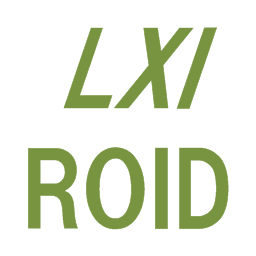 LXIroid is an application to act as an insturment. 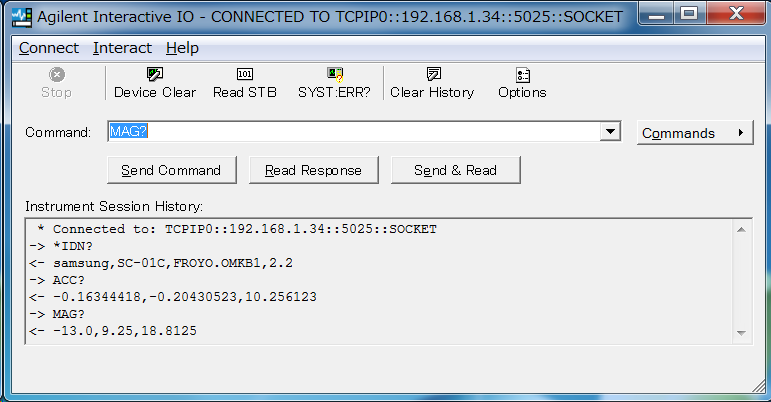 When server received command from socket client, it returns some string. VIB1 : vibrate on, VIB0 : vibrate off, BEEP : beep, TNxx : play sound (tone). 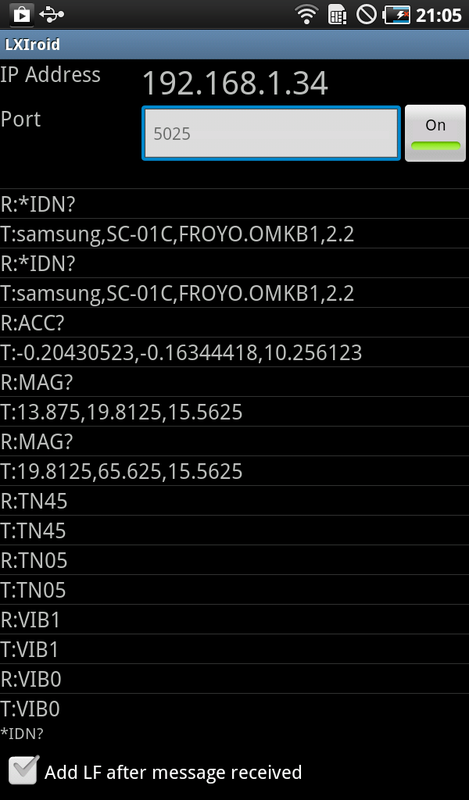 This movie shows Pocket Computer (PC-G850) controls Galaxy Tab SC-01C. Pocket Computer was installed the G850 Terminal. 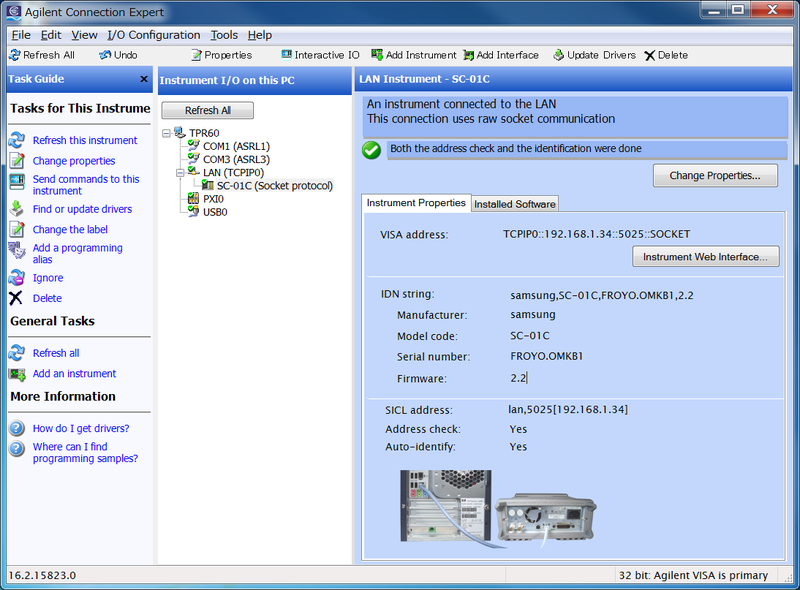 connected to Galaxy Tab with Lantronix XPORT 04R (SocketClient mode). 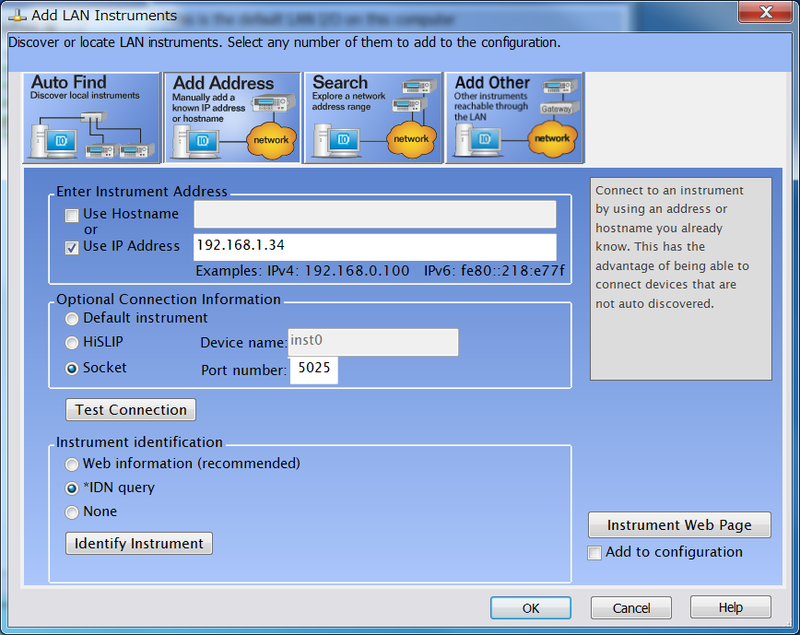 You can also add LXIroid to Agilent IO Library as an insturment. 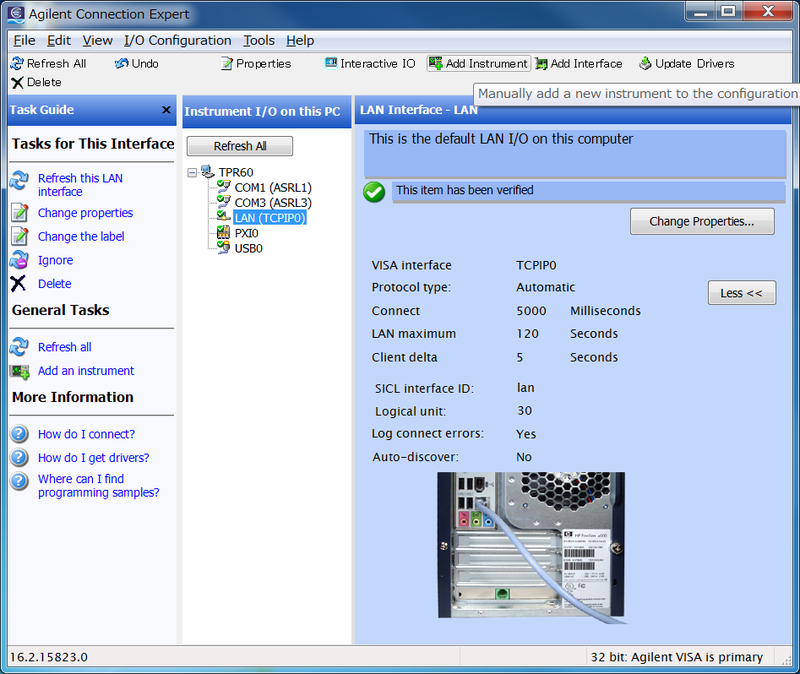 You can use VISA COM. 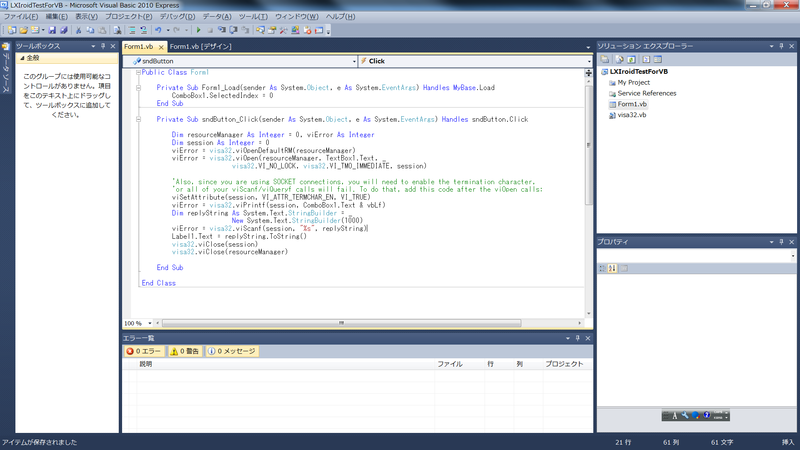 Sample program is here. So, What is good for ?